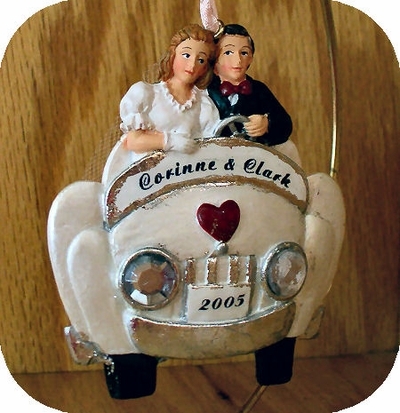 This is a perfect gift and keepsake for the newly weds or from the just married cuple! This 3 x 3 ceramic ornaments can be personalized with Bride and Groom's first names and their wedding date/year. This is the back view of the ornament.